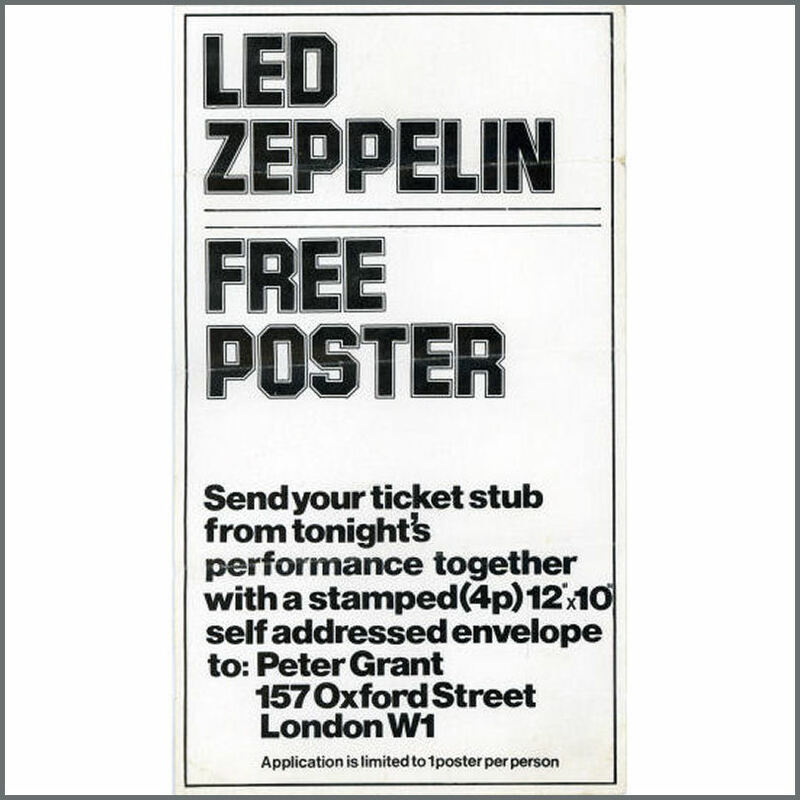 An original handbill that was given out at a Led Zeppelin concert advertising a free poster. The handbill reads “Led Zeppelin Free Poster. Send your ticket stub from tonight’s performance together with a stamped (4p) 12″ x 10″ self addressed envelope to: Peter Grant, 157 Oxford Street, London W1. Application is limited to 1 poster per person”. The handbill was given out at the Led Zeppelin concert on the 25th January 1973 at Aberdeen Music Hall. It measures 12cm x 21cm (4.75 inches x 8.25 inches). The handbill has been folded leaving three horizontal crease lines. The condition is very good.